According to Hollywood, blasting a padlock off a door with a gun is as easy as ordering a cup of coffee. Wrong. 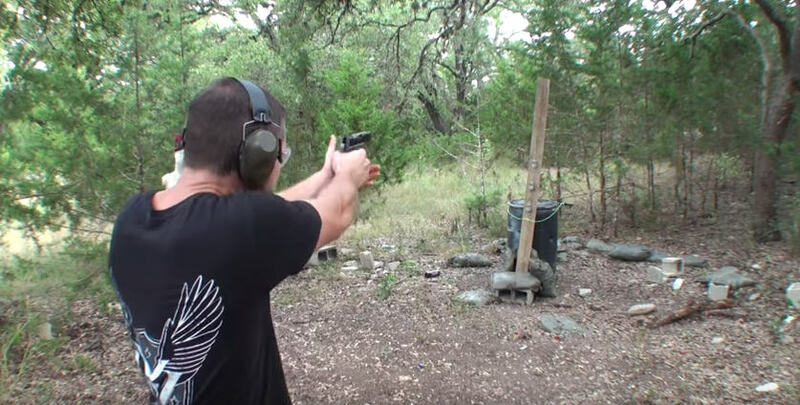 As this video from the Demolition Ranch team – a group dedicated to shooting objects with guns and uploading the footage – demonstrates, it’s actually a lot harder than you’d think. They tested a range of different calibre handguns to find out which ones could help you blast through a door and potentially save the world. As they do in Hollywood. Turns out most handguns will not be of any use when it comes to eliminating padlocks. They only dent it, for the most part, with some not even doing that. A 12 gauge shotgun will do the job, but what you really want is a Barrett M82. No more padlock, no more door, no more anything. Job done. Big gun smash puny padlock. VIDEO: FROM A 9MM, TO 12 GAUGE SHOTGUN SLUG – WE’VE ALL SEEN IT DONE IN MOVIES, BUT WHICH CALIBER CAN BUST OPEN A LOCK? THE RESULTS MIGHT SURPRISE YOU!